It took me way longer than anticipated, but I finally cooked with quinoa for the first time! And you know what? It wasn’t even that scary. This recipe is way easy and originated from PinchofYum who is absolutely fabulous if I do say so myself. 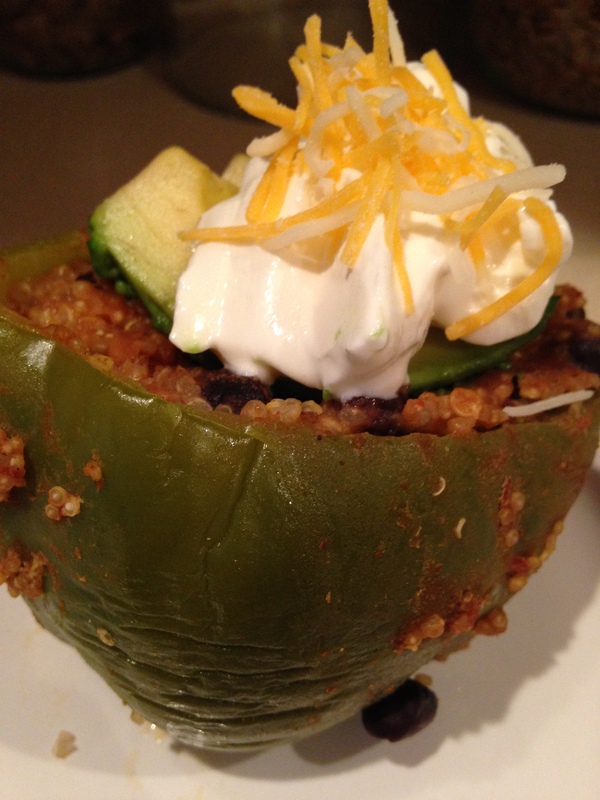 Their recipe originally called for the crockpot, but I made these awesome stuffed peppers just in the oven! I was nervous about cooking with quinoa simply because I never had before and it seemed intimidating, but I definitely feel silly thinking it would be a challenge. At least for this recipe, it was so simple. Just rinse and use! This recipe called for everything you probably already have in the cabinet, which is also a major plus. If you’re still not convinced, you can add every topping you would ever want on a Mexican dish- guacamole, salsa, hot sauce, sour cream, even ranch dressing. And if you’re really up for a treat, you can scoop it up with your favorite tortilla chips (so much yum). Although, I made the mistake of only having five peppers instead of six, which left me with too much “stuffed” and no “peppers,” this dish was a definite win for me and my family enjoyed it too. I hope you think the same! 1. Preheat the oven to 425 degrees. Cut the tops off the green peppers, removing the seeds and inside ribs. Place inside of a large glass baking pan. 2. 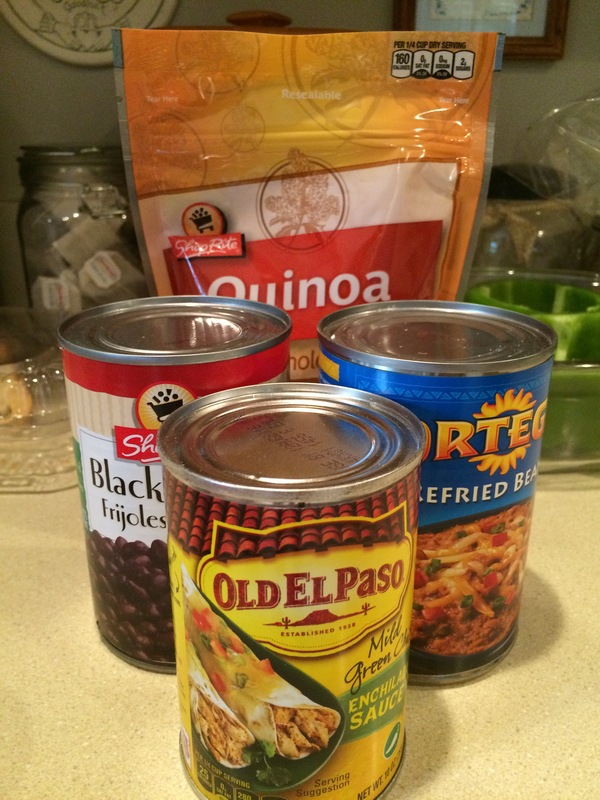 Combine the quinoa, beans, enchilada sauce and spices together in a large bowl. Fill each pepper to the top with the mixture. 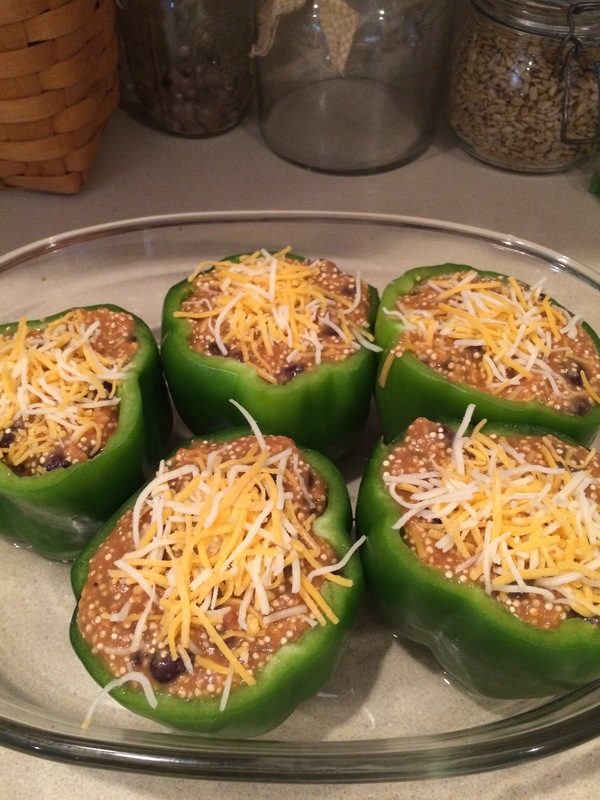 Sprinkle additional cheddar cheese on top of each pepper if desired. 3. Fill the bottom of the baking pan with about 1/2 cup of tap water. Cover pan with tin foil. 4. Bake in oven about 45 minutes. Top with additional toppings of your choice and enjoy!